Award winning Granola - Original. Wheat free toasted breakfast cereal, packed with toasted whole oats, nuts and seeds, our cereal makes a healthy and wholesome breakfast or nutritious snack at any time during a busy day. For that perfect breakfast, try it with fresh fruit and yoghurt. 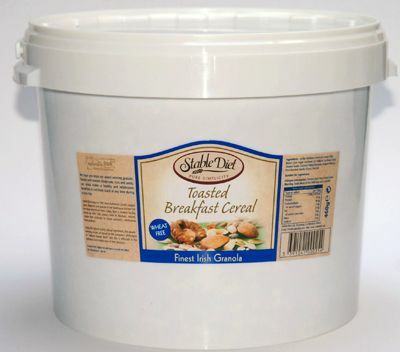 This 3kg tub is popular with catering outlets and private individuals. Jumbo Oatflakes (total oat content 54%), Brown Cane Sugar, Sunflower Oil, Oatbran, Sunflower Seeds, Sesame Seeds, Coconut, Flaked Almonds, Chopped Walnuts, Pure Bourbon Vanilla Extract, Sea Salt. Suitable for vegetarians.